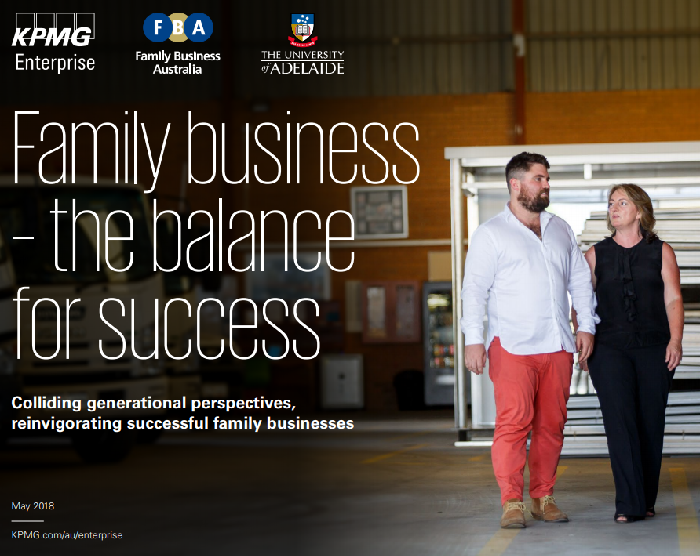 The ninth Family Business Survey from KPMG Enterprise and Family Business Australia (FBA), in collaboration with the University of Adelaide’s Family Business Education and Research Group (FBERG) presents viewpoints from two generations, both the current business leader and the next generation (NXG) of the same family business. Australian family businesses have colliding perspectives on how they are placed when it comes to many aspects of their wellbeing – with the incumbent generation often a lot more optimistic than the next generation waiting in the wings. The Fleming / McLean family of Bundaberg, owners of beverage company Bundaberg Brewed Drinks. KPMG Enterprise and FBA have been undertaking joint research into the challenges and opportunities of family businesses since 2005, making this body of work the longest running survey of Australian family businesses.